Federal HIPAA Omnibus Rules are also required and need to be purchased separately. Dental Enhancements & HIPAA made EASY™ to the best of our ability and with the aid of legal support for proper interpretation, does bring you this synopsis of HIPAA Omnibus Rule. This is merely an introduction and overview. You are encouraged to more rigorously study and to apply all specifically related Omnibus Rules into your Practice. For more concise thorough guidance or in the event of a HIPAA inspection or investigation we recommend you to seek counsel from a legal advisor specializing in this area of law. 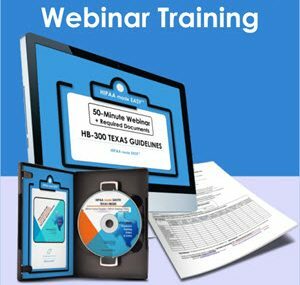 Dental Enhancements & HIPAA made EASY™ is a training platform that will deliver the framework and an overview of HIPAA Omnibus Rule. In purchasing these training materials, you understand this and hold harmless Dental Enhancements & HIPAA made EASY™ and their related companies from charge.